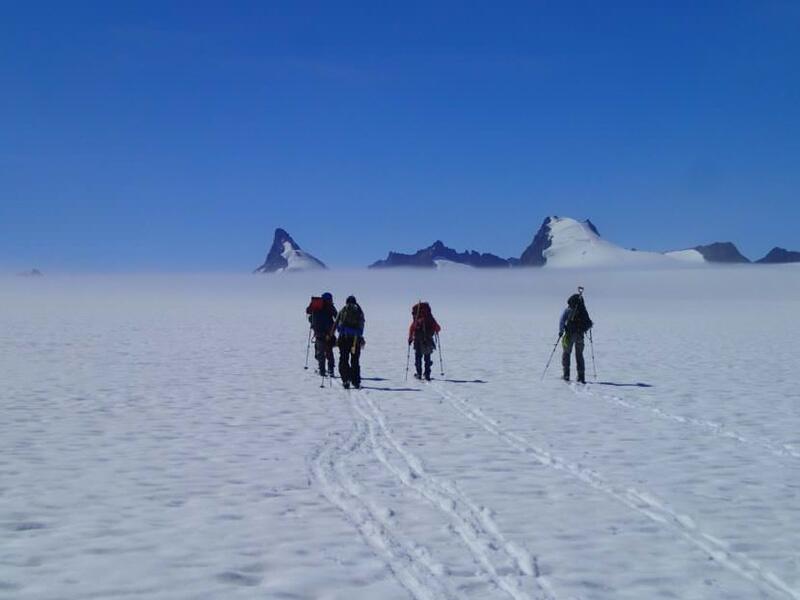 For many first-time visitors, the Juneau Icefield is a surreal and sublime experience. “I’m completely in love with it. I cried when we hiked off the glacier the last day,” Hannah Perrine Mode laughed. Mode’s originally from Boston and had never been to Alaska before this summer. Mode served as the first-ever, artist-in-residence for the Juneau Icefield Research Program, or JIRP, a summer research and training program focusing on the ice and snow, ecology and weather and climate of the icefield above downtown Juneau. The program started in 1946 under the direction of Maynard Miller as the Juneau Icefield Research Project. 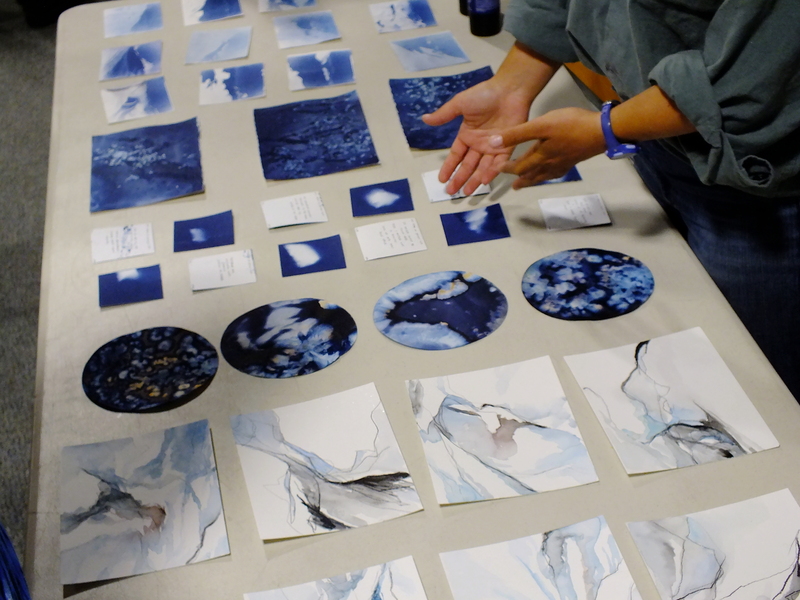 During the eight weeks she was on the icefield, Mode painted in watercolors and made cyanotype photographs. Using her medium format camera, she made long 12-hour exposures on paper painted with light-sensitive chemicals that are used for creating blueprints. Mode would fix or set the images using meltwater from the glaciers. “The blue ice to me is like incredibly magical and beautiful, and it’s also a little bit melancholic in thinking about loss in that way,” Mode said. Mode, who is currently studying for an masters of fine arts at Mills College in Oakland, California, spearheaded the artist-in-residence program this year. In addition to making art, she served as mentor and held workshops for students and faculty. She also attended lectures and went along on the expeditions helping students with their scientific research. Over 30 undergraduate and graduate students from as far away as Germany and Singapore participated in the icefield research program this year. Skidmore College senior Ann Hill, from Minneapolis, is studying geosciences. 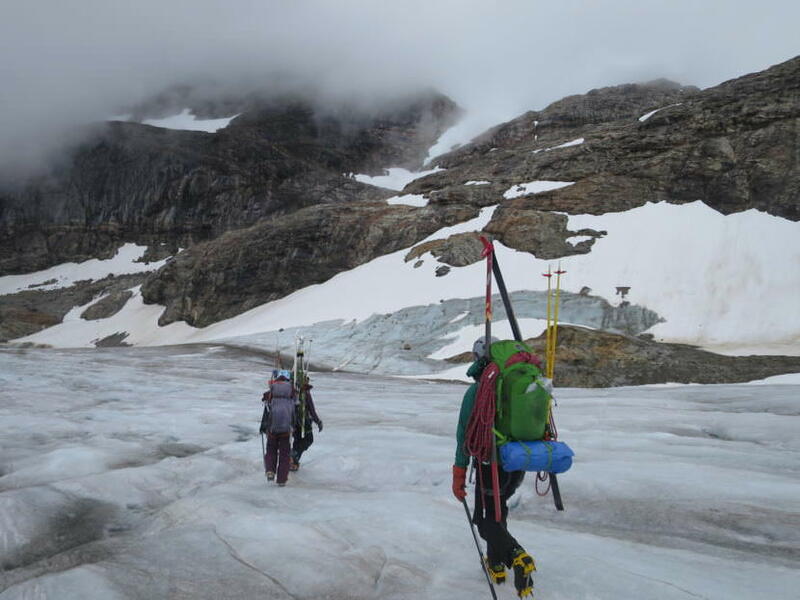 She was part of the team that used precise GPS equipment to measure changes in a glacier’s flow and elevation to an inch or less. Taku Glacier was unique among other glaciers on the icefield because it was not losing mass or retreating. The Taku had been advancing over the last few decades, but Hill said their latest measurements indicate it may now be in a stagnant phase. The Taku is the icefield’s largest glacier and features a tidewater terminus. “It’s a really great experience,” Tristan Walker-Andrews, a senior at Juneau-Douglas High School, said. He was part of the ecology team that surveyed the diversity and abundance of lichen and plants at different elevations and locations on the icefield. Walker-Andrews was one of three Juneau residents who participated this summer. It’s fairly rare for an Alaskan to sign up for the program, much less for a Juneau student. Although he’s not sure yet which field, Walker-Andrews said he’s interested in pursuing a science career, likely something connected to nature or the natural world. Students explained their research during an August 17 open house at the Mendenhall Glacier Visitor Center.